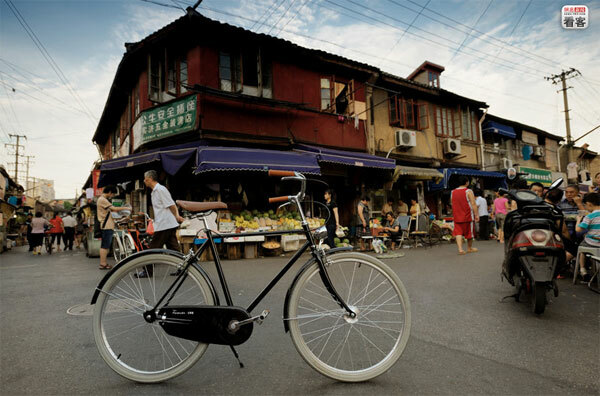 2 30 years of Bikes in China – Once China was renowned as “The Kingdom of bikes”. Things have changed nowadays. 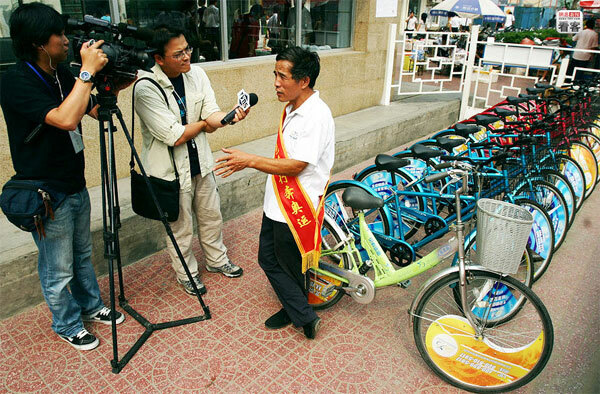 30 years of Bikes in China – Once China was renowned as “The Kingdom of bikes”. Things have changed nowadays. The streams of rickety bikes across the streets of Chinese cities have been replaced by electric motors, automobiles, and mini vans. Today, due to the smog and pollution, bikes have been regaining their proper position. 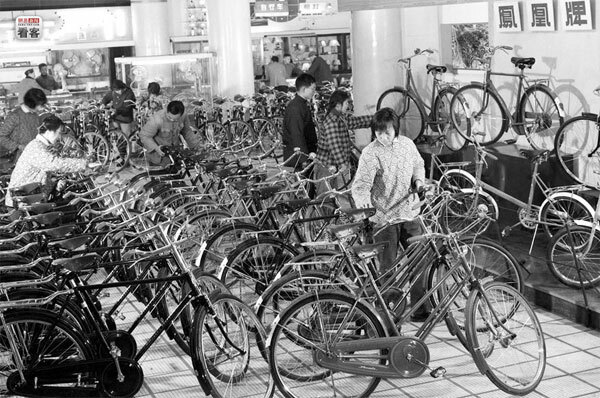 During the ’60s and ’70s, production of bicycles was one of the leading business of China. In this picture you can see a shanghaiese company producing the popular model “Phoenix”. June 27, 1981, Shanghai. 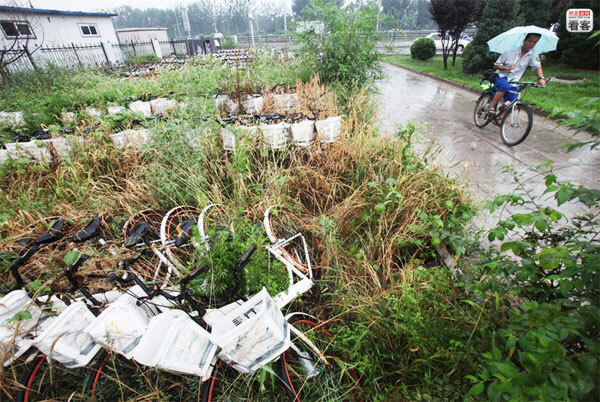 Shanghai Bicycle Factory started off from the reorganization of a tractor factory. Plant production capacity reaches 2.5 million pieces per year. 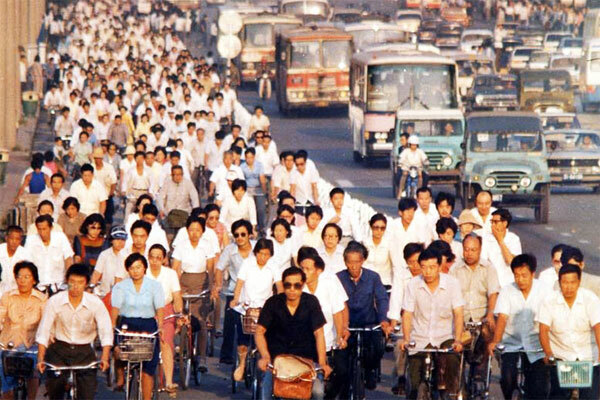 During the twentieth century, owners of bicycles in China reached 500 million. 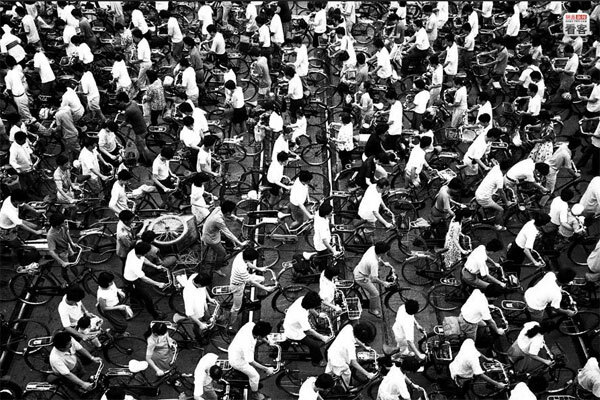 Bicycle for many Chinese was the first opportunity to move quickly. 1981, Beijing. Pekingese rush to work riding their black or gray bicycles. One out of three dwellers used to be a lucky owner of a bicycle. 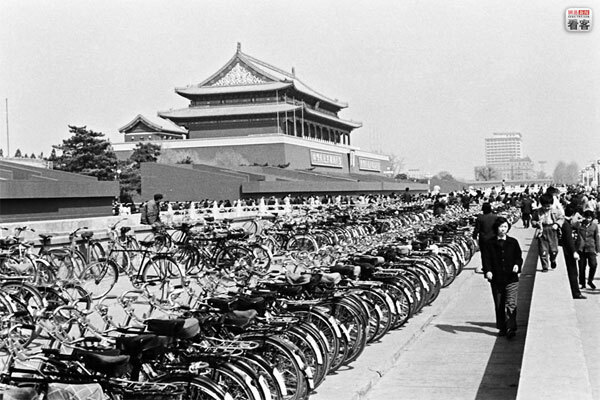 1984, Tiananmen Square, Beijing, bicycle parking facilities. 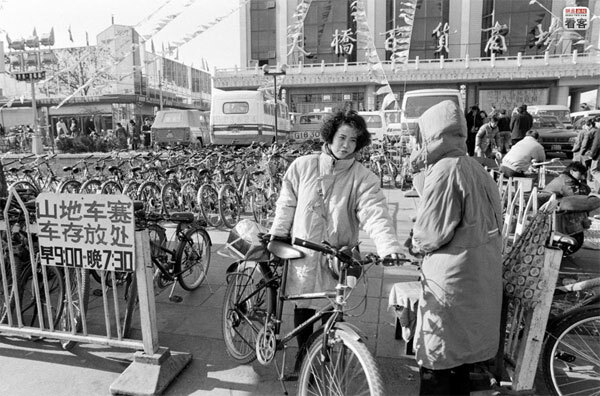 China during the 80s was famous throughout the world as the “kingdom of the bicycle.” Later, in 2002, when President George W Bush visited Beijing, he was given a bicycle. 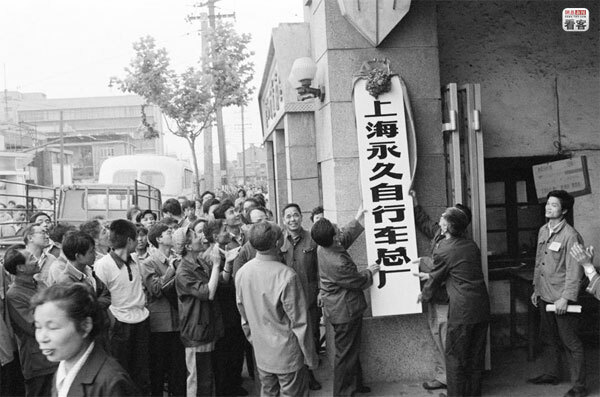 1986, Beijing, Chang’an Street. Times change and first foreigners arrived in China. Blue workers uniforms are just a memory of the recent past. 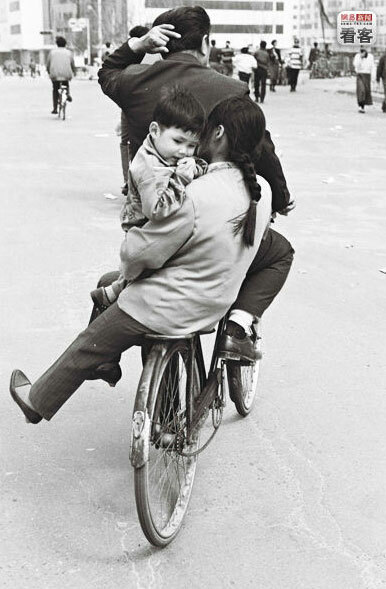 1990, Beijing, Chang’an Street. Large lanes were dedicated to the bikes. 1991, Shanghai. Streets are jammed by an infinite number of bicycles. 1993, Heilongjiang Qiqihar. A whole family on a bike. Bikes arrived in China in the late nineteenth century as gifts to the Chinese court. 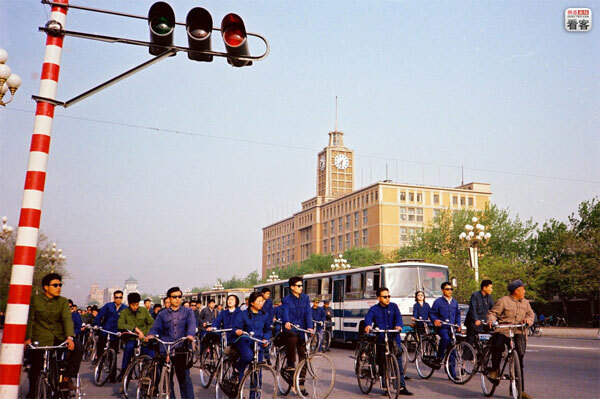 In the early 90s mountain bikes arrived in Beijing. At the time, were regarded as luxury vehicles, so the parking lot for this kind of bikes was twice as expensive and were deposited in a designated area. In 1994 things began to change. Government encourages purchasing of private cars. For a decade China was flooded by only five models of cars: Santana, Jetta, Citroen, Fiat Charade and Fiat 126p. 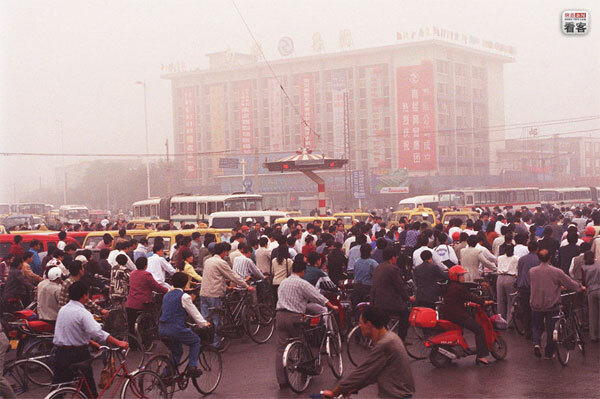 2001, Kunming. 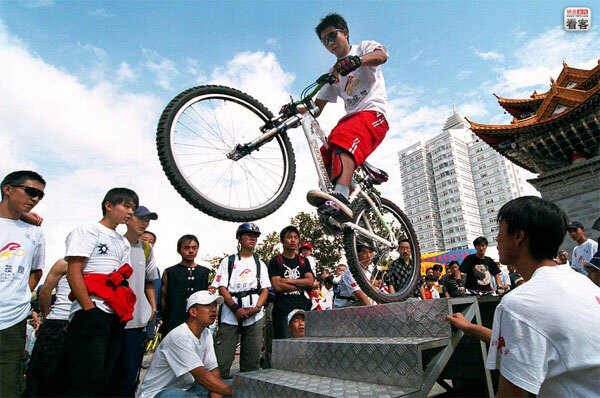 In the new millennium, bicycles are seen as a fashionable gadget for young people who begin to practice extreme sports. April 3, 2007, Dongcheng District, Beijing. In the last decade, the rate of bicycle use is drastically reduced. In 1986 bikes accounted for almost 63% of the traffic in the capital. In 2009, 18%. 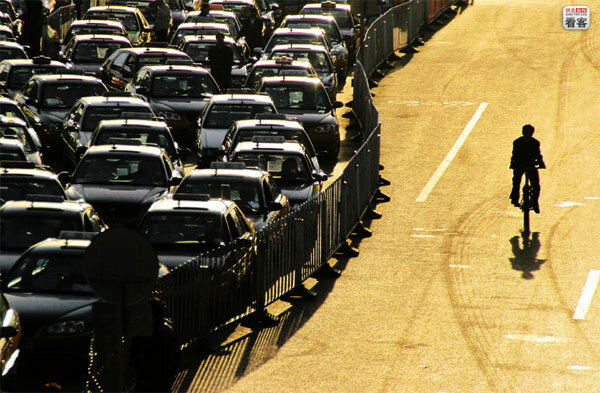 According to Beijing Municipal Transportation Commission, 44% of capital’s motorized vehicles travel less than 5 km. August 2007, Beijing. During the Olympics 200 bike renting points where put up with over 8000 bicycles. October 12, 2009, Beijing. 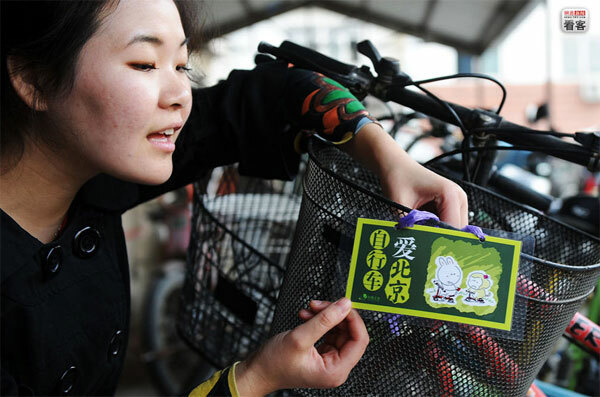 A voluntary of the Beijing organization “Friends of Nature” tries to sensitize the use of bikes in the city. United States and Britain are pushing for recovering the use of bicycles in big cities to curb pollution and China is focused on the same target. 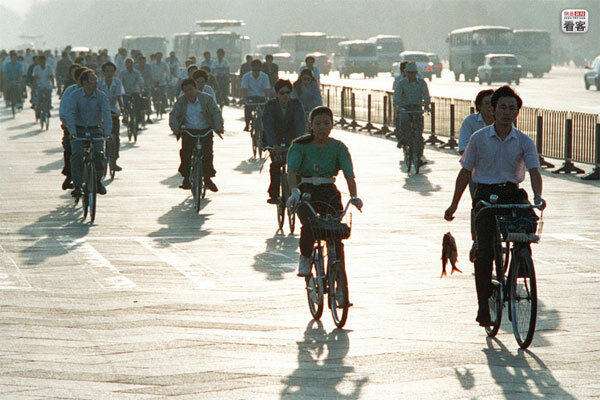 This is why Beijing is planning the construction of several new lanes for bikes. Previous articleThe future of Chinese toilets!